The Supreme Court will hear oral arguments tomorrow in a case from religious nonprofit groups challenging the federal government’s contraceptive/abortifacient mandate. Here is what you should know about that case. What is this case, and what’s it about? To fulfill the requirements of the Affordable Healthcare Act (aka ObamaCare) the federal government passed a regulation (often called the “HHS Mandate”) that attempts to force groups into providing insurance coverage for contraceptives, sterilization, and abortifacients. Some religious groups, such as the Little Sisters of the Poor, objected on the ground that the requirement violates their religious liberty as protected by the First Amendment and the federal Religious Freedom Restoration Act (RFRA). HHS offered an accommodation that the Little Sisters found to be insufficient. The Supreme Court will decide, as SCOTUS Blog explains, whether the government has offered nonprofit religious employers a means to comply and whether the whether HHS satisfies RFRA’s test for overriding sincerely held religious objections in circumstances where HHS itself insists that overriding the religious objection will not fulfill HHS’s regulatory objective—namely, the provision of no-cost contraceptives to the objector’s employees. What was the accommodation, and why was it rejected? The proposed accommodation would require the Little Sisters to find an insurer who will cover all of the things they oppose: sterilization, contraceptive, abortifacients, etc. They would also be required to sign a form that triggers the start of that coverage of those items and procedures that they find objectionable. They believe that the accommodation does not prevent them from violating their religious beliefs. Who are the Little Sisters of the Poor? 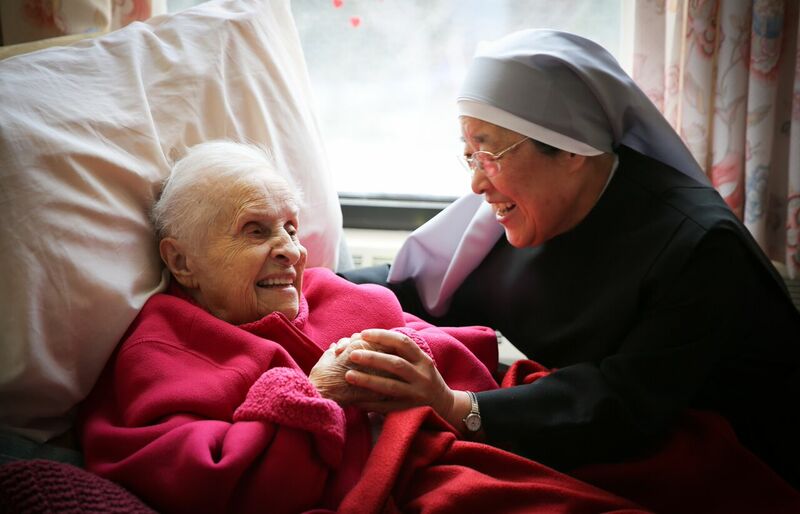 The Little Sisters of the Poor is an international Roman Catholic Congregation of Religious Sisters that serves more than 13,000 elderly poor in 31 countries around the world. The first home opened in America in 1868, and now there are nearly 30 homes in the United States where the elderly and dying are cared for. Doesn’t the “religious employer exemption” cover the Little Sisters and similar non-profits? No, the general exemption the HHS provides applies only to churches and certain types of church-like organizations. Most religious non-profits do not qualify. Doesn’t the mandate apply to everyone equally? No: 1 in 3 Americans do not have a plan that is subject to the mandate HHS is attempting to force on the Little Sisters. Many large corporations—such as Exxon, Chevron, and Pepsi—are already exempt from the mandate because they never changed their plans and are grandfathered. The government does not even require the nation’s largest employer—the U.S. military—to provide these services through their family insurance. What if the Little Sisters simply refuse to comply? If the Little Sisters do not provide coverage for contraceptives, sterilization, and abortifacients, the government is threatening to fine them with $70 million in fines per year. Didn’t the Hobby Lobby case already resolve this issue? Last year the Court agreed some owners of closely held for-profit corporations, like Hobby Lobby, have sincere Christian beliefs that life begins at conception and that it would violate their religion to facilitate access to contraceptive drugs or devices that operate after that point. The Court found that the HHS mandate violated RFRA because it imposed a substantial burden (i.e., if the companies refused to violate their beliefs, they would face severe economic consequences: about $475 million per year for Hobby Lobby, $33 million per year for Conestoga, and $15 million per year for Mardel). The government also failed to satisfy RFRA’s least-restrictive-means standard, since the government could assume the cost of providing the four contraceptives to women unable to obtain coverage due to their employers’ religious objections or extend the accommodation that HHS has already established for religious nonprofit organizations to non-profit employers with religious objections to the contraceptive mandate. In that case, the companies can qualify for an exemption by fill out a form and submitting it to the government. This type of accommodation was already available to religious non-profits. 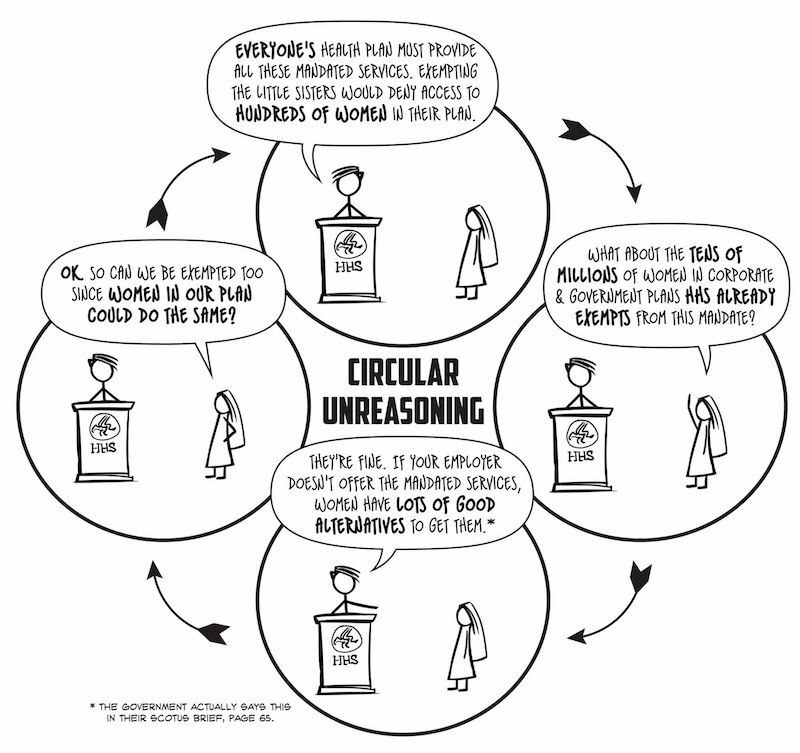 But this is a procedure the Little Sisters and others find insufficient to resolve their religious objections. Isn’t this merely a Catholic issue? No. Many Protestant non-profits have similar objections. The current case combines the cases that were brought by East Texas Baptist University, Southern Nazarene University, and Geneva College. Other groups who have brought similar lawsuits, such as Wheaton College, will also be affected by the outcome of this ruling.